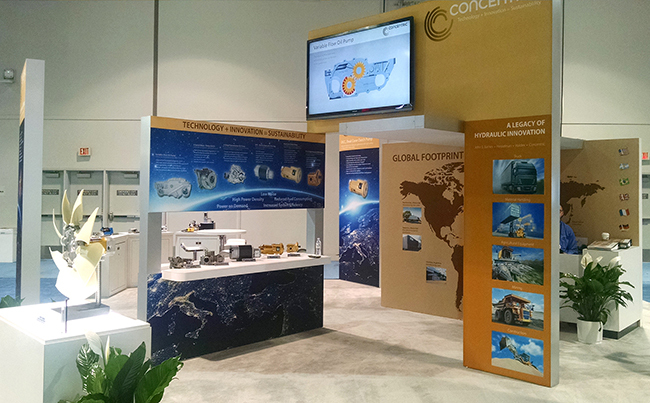 Concentric AB reported an extremely high level of interest at IFPE 2017 from both key visitors and multiple international major manufacturers of mobile equipment and hydraulic systems. Over 125,000 visitors attended this year’s show in Las Vegas with 2,500 exhibitors spread across 2.5 million square feet. 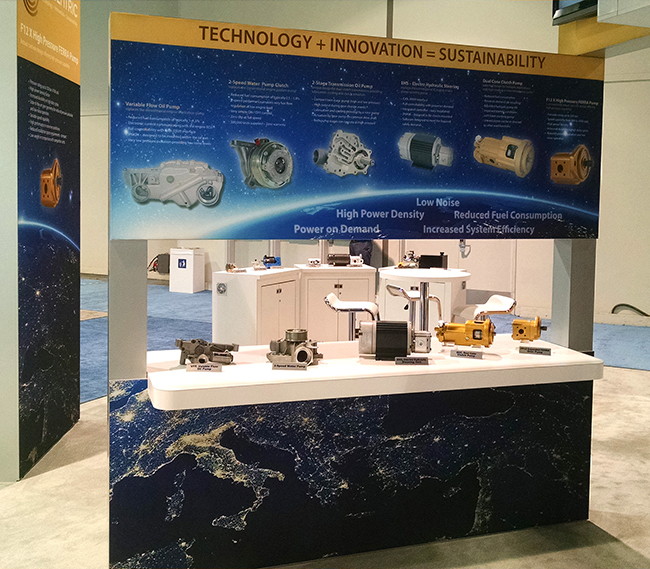 Concentric displayed its latest developments in both hydraulic and engine pumps for use in a diverse mix of mobile and industrial applications, focussed upon improving system efficiency, reducing fuel consumption and noise, while providing higher power density in a minimal envelope. Some of the innovative products on display are listed below. EHS, Electro Hydraulic Steering unit, replacing conventional engine driven steering pumps, for hybrid vehicles. Ferra high pressure cast iron pumps, providing high power density in a smaller envelope, with a pressure capability up to 4,750 psi. Dual Cone Clutch pumps, patented design for use in systems requiring intermittent flow and pressure, including emergency steering. Calma, low noise pumps, employing zero backlash gear technology. Industrial fluid transfer pumps, for use in low pressure operations with diverse fluids, temperatures and pressures. Variable flow oil pump, replacing conventional fixed flow lubrication pumps in diesel engines. 2-speed water pump with integrated clutch, replacing conventional fixed flow coolant pumps in diesel engines. 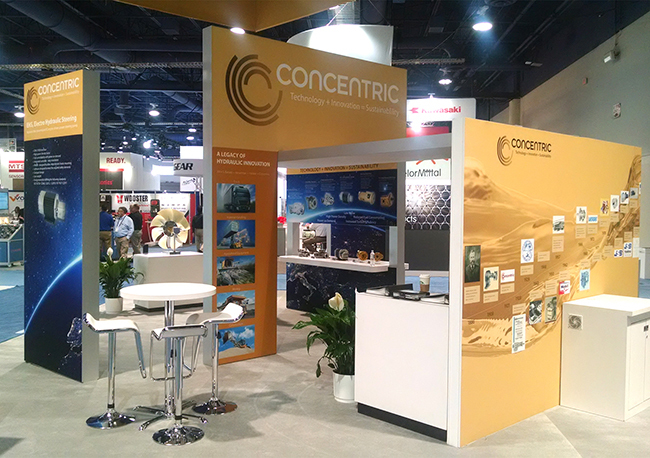 Concentric exhibited in the South hall alongside other manufacturers of hydraulic and engine products.